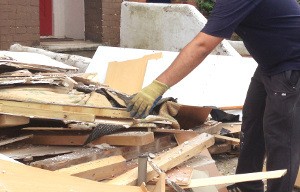 Home & Business Rubbish Collection Park Royal NW10 | RDA Cleaning & Maintenance Ltd.
Our waste collection company provides professional rubbish removal services in Park Royal NW10. With its dedicated insured workers RDA Cleaning & Maintenance Ltd. will do everything in its power to bring you the best quality rubbish removal service available. We will transport all of the waste to the required destinations. Be it dumpsters or recycling plants. This way we ensure that our services are both efficient and eco-friendly. Every offer that we can present you will come at an affordable price. So, give our company a call at 020 3404 1646 or use the online booking form and we will send a team straight away. So Why Hire Our High-Quality Park Royal NW10 Rubbish Collection Service? Our Efficient Park Royal NW10 Waste Disposal Is Suitable To All Of You! RDA Cleaning & Maintenance Ltd. is an experienced removals company with rich practice in the field. We specialize in all type of Park Royal NW10 waste disposal: garage rubbish removal, domestic, loft, small house appliances, furniture, garden, house and apartment rubbish removal, as well as for shop, office rubbish removals, as well as for IT and Tyre disposals. Do not hesitate to use our help after constructions or harsh builders work. Refurbishment waste is always fast and flexible. We deal with all types of rubbish, except for paint, food and hazardous products. We can help you out with the transportation and packing of rubbish. All the materials for packing and the van are included in the final rubbish removal price! Make sure you provide our technician team at least 30-meter parking space for the van. The rest is our job! Each and every one of these waste collection services Park Royal NW10 will be done by a team of high trained vetted workers that know exactly what they are doing. No hassle or time wasting. So, if you wish to hire a professional rubbish removal Park Royal NW10 company that will do their job with the fastest of means and no hassle, then, by all means, please give us a call at 020 3404 1646 or use our online booking form and we will be straight on the way to your location. Lern more about our rubbish removal deals and get a free quote!